You can never have too many sheets. The three-piece toddler sheet set includes a flat sheet, fitted sheet and pillowcase. Includes: flat sheet, fitted sheet and pillowcase. Flat sheet dimensions: 45″ x 60″. Fitted sheet dimensions: 28″ x 52″. 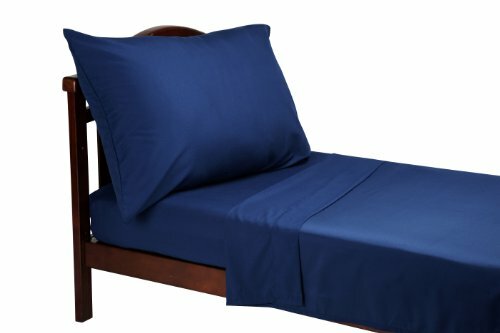 Standard pillowcase dimensions: 20″ x 30″. Soft 100% polyester microfiber fabrics. Machine wash cold, gentle cycle; tumble dry on low heat.